It is a sunny day which happens to be the first day of Spring. Today we had equinox and eclipse at the same time, and... It is Friday! Yay! Moreover just booked a trip I am so excited about. I will write more about it later. 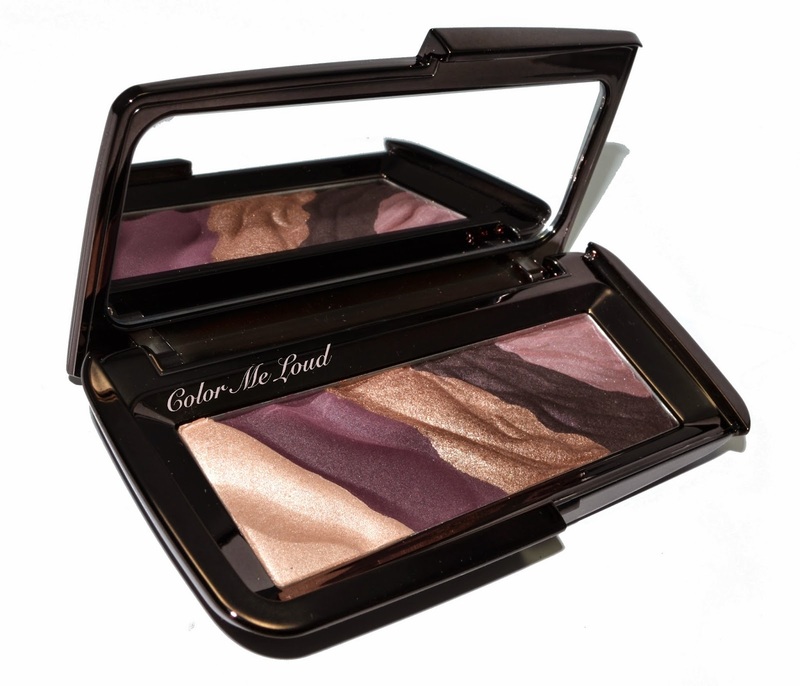 Today I have the third Hourglass Modernist Palette to share with you. You can read my reviews of Infinity here and Obscura here. Infinity was just a like for me and Obscura was love at first sight. Exposure took me some time to write about to be able to sort out my feeling. I will try to express them for you. 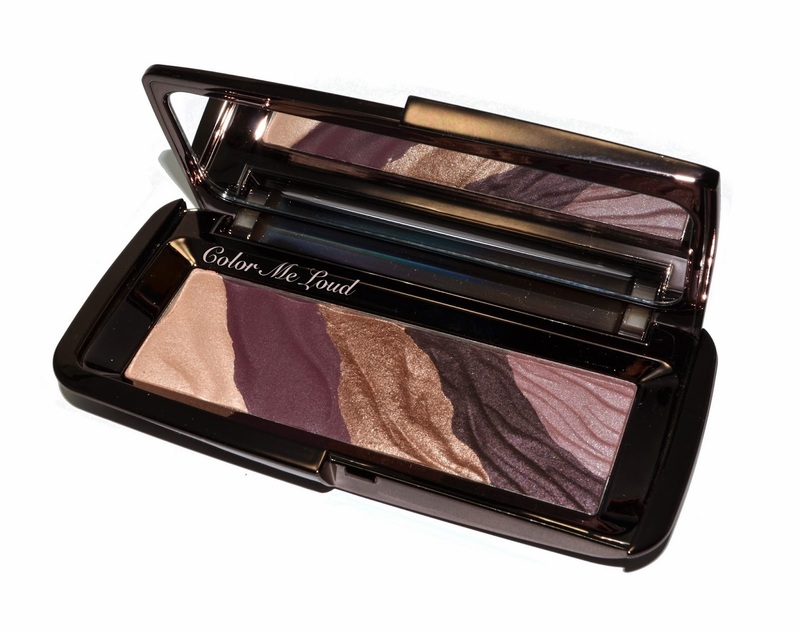 Hourglass Modernist Eye Shadow Palette in Exposure is defined as "the plum" and here I say, oh yes please, give me that. There is something very beautiful about this palette, the golden shade in the middle is like a warm sun in a cold day, it brings everything together so nicely while giving it enough warmth. If some cool purples clash against your skin tone, Exposure has a good chance of working on you. I have previously stated that I really like the design of these and I love the color story of Exposure as well. Left most: Light champagne color with satin to shimmery finish. This shade is unfortunately a little too dark to be a highlighter on my skin tone, for say in the inner corner. I still use it that way though (see below) and it gives a very subtle shimmer without highlighting much. I like that shimmer in that one is subdued and not frosty. 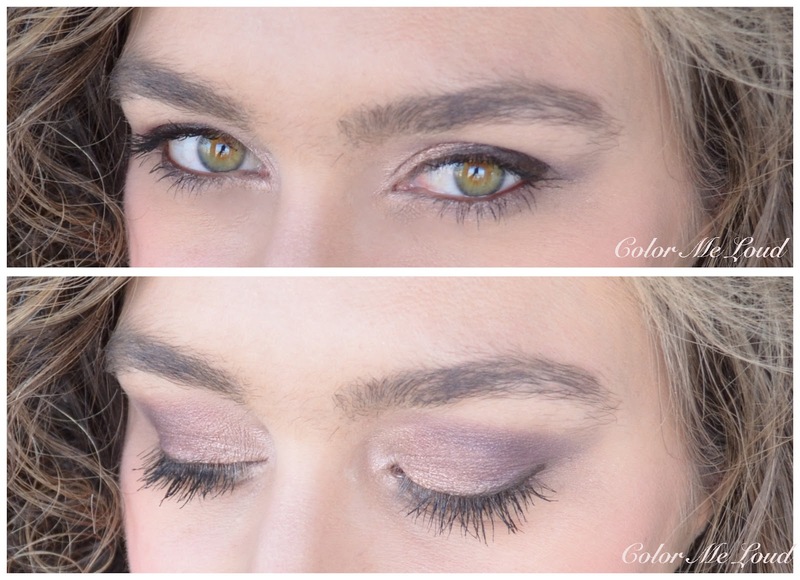 Left: Mid-toned neutral plum with matte finish. It is not too red not too blue, it has a lovely balance. This one doesn't swatch all that well with fingers but with brush it works on my lids. It is however a little powdery, which seems to be a general problem across matte shades of Modernist Palettes. This one also produces fall out during application, so be sure to tap your brush before bringing it close to your eye. Middle: The most gorgeous bronzy gold with shimmery/metallic finish. This shade is pure love. It is so complex and on the eyes it looks so lovely once applied. It is a warm shade but goes so well with the rest of the plums, geneous. Right: A very deep neutral purple with satin finish. This is another very pretty shade since the subtle shimmer brings it to life. Unfortunately this is another shade which produces fall out during application. Same tips again, tap your brush well, build up slowly and maybe do your base after the eye make-up. Right most: A mid-toned lilac with satin to shimmery finish. I like starting with this one on the crease or you can use it as an over all color as well but I think it doesn't go so well with the gorgeous gold so maybe use separately or on its own. Here is the third eye look from last week. My first look ended up with lots of fall out, for the second one I would like to use the lilac and bronze together, well, didn't look all that well, then for the third I went for a safe bet, bronze all over, champagne on inner corner, deeper plums on the crease and lilac to blend over the crease. Now when I say I have mixed feelings, I mean, although I like the end result there, it was not the easiest palette to work with. Not like Exposure, which worked without much effort, Exposure had a learning curve. On the other hand, I find bronze and plums together a really good idea and if I were to decide if I would like to return it, no I would rather keep it for now. Here is the look in context. I don't want to insert spoiler so I won't tell you which lipstick I am wearing but the review will be up in a few days so stay tuned for that one. Hourglass Modernist Eye Shadow Palette in Exposure is not too colorful, not too natural, not too cool nor too warm. I really like the balance in that one. That said it doesn't work out of the box for me for a reason, including some fall-out during application, which I found to be more than the other two Modernist Palettes I have tried (Infinity and Obscura). I have though reached for it quiet often in the last week so, again, I don't know how to express this. I think it is a love & hate kind of palette for me. One more thing to note: It goes especially good with fuchsia and berry lipsticks. 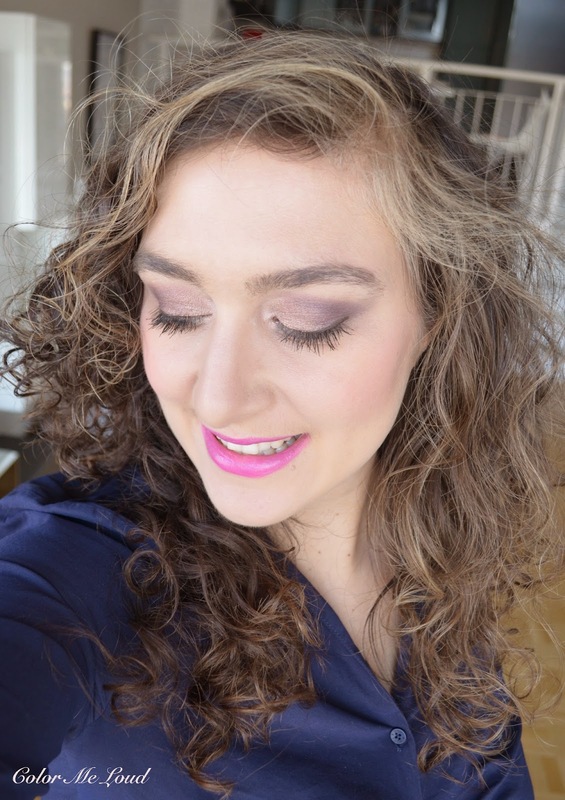 Final thoughts: I like the balance of the shades and the resulting look but it is not all that easy to work with as one would expect at this price point. That said, textures and light reflecting properties are superb. I reach for it often than I hate the fall out but love the result. The lasting power is quiet good. So what do you think, did I like the palette? LOL, I don't know. I would like to add some comparison swatches too but no other similar palette comes to my mind. Please leave below your comments with the wishes. I don't recall owning a palette with cool plums and bronze/gold. Disclosure: The product in this post is purchased by me. Ahhh I do like the look you came up with! So sorry to hear it's not that easy to work with tho. If I buy another one of these, it'd be this one! Also, which lipstick are you wearing here? It's stunning! I'm guessing the lip color is from the GA Maharajah collection. Wondering how it compares to TF Jack. This look is so very pretty. The palette sounds like a no-no for me though; I don't have the skills for difficult shadows. Plus, while the colour combination here is spot on, the individual colours are not that unique...so it's a pass for me... Obscura is still waiting for a weak day though LOL! The palette is gorgeous to look at, and I love the color combinations, but for the price, I expect something that's easy to use, and with no or very little fallout. I do hope they improve the formula. Or just issue the gold shade as a single. I am still so tempted by this palette as the shades are truly gorgeous, but the issues with texture and fallout definitely make me a bit cautious. wished I had found a similar palette to that one. Do you have any ideas? I think the formula definitely needs improvement here and with that price, I would also be cautious. I swapped it with a friend from the states so I don't think I will send it back and make her return it. I also don't want to sell it because I end up liking it after learning ways to prevent fall out. But as I said, if I knew it would have so much fall out, I would honestly not get it. Well, if you don't mind a little bit of a fall out, then of course this is a very pretty palette. I found the formula of the other palettes better than this one though, so to me Exposure is an under performer of the line. skills is one thing and time in the morning is another. Obscura has much better texture and also a very pretty color combination so I am with you on your decision! 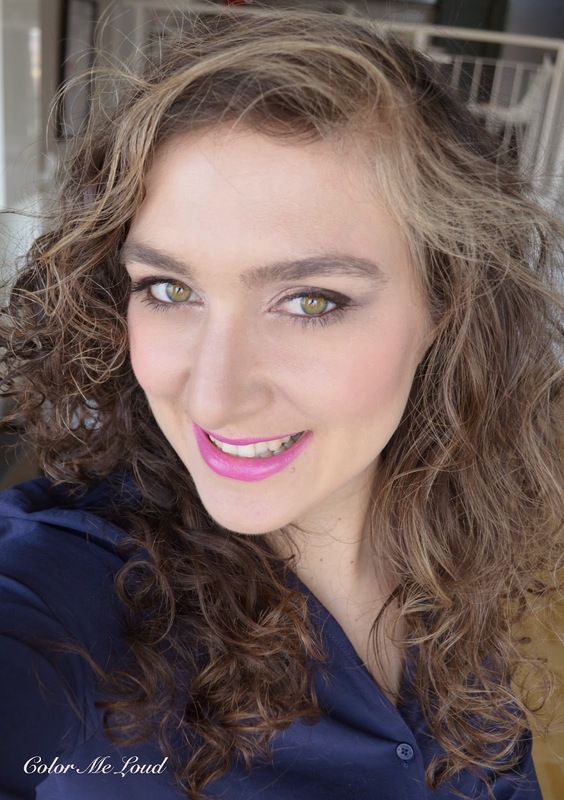 LOL Alison, TF Jack is definitely a close shade of this one and check today's post, it is Bobbi Brown Sheer Lip Color in Berry. I am loving it at the moment, even more so than Jack. actually I was thinking about you, this one is warmer than the average purple palettes and it is also more natural, it is exactly like how you would like it but, it has some fall out. Consider that before investing so much, but... lol... it is darn pretty! Yes, I saw that and thank you for the comparison. They are really close. Makes me wonder whether to get it as a Jack backup. Jack was the last boy that snuck in. I am finding that a lot of the TF boys that I got are Spring- Summer shades for me, so waiting for warm weather to wear them. 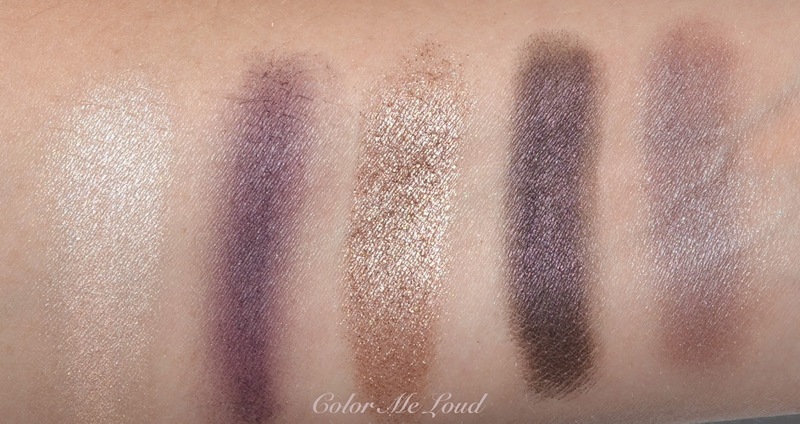 I have yet to purchase one of these Hourglass palettes-I think if I were to pics on shades alone this would be the one-we do not have a counter here so I do not have an opportunity to play with it in store-but boy they do look beautiful!